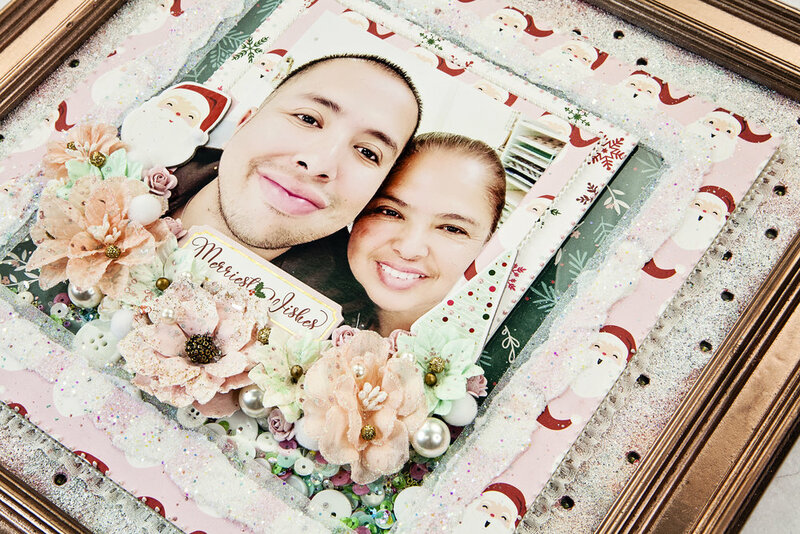 Join Frank Garcia and create a one of a kind light up piece using a variety of Christmas Papers, embellishments and glitter! The central part of the layout is a large shaker area, with a light up base that we will create with a variety of pastes, embossing enamels and paints. We will finish this up with a rose gold custom frame. Please note, this is an in-person class. Class will be held October 27th 2018 OR October 28th 2018 at Frank Garcia Studio. 1 - 4x6 or 5x7 photo that can be cut down, please bring a variety to choose from or larger formats to be safe.